On Saturday January 18th, 2019 during the Indigenous People’s March in Washington D.C. Nathan Phillips showed what makes America great. 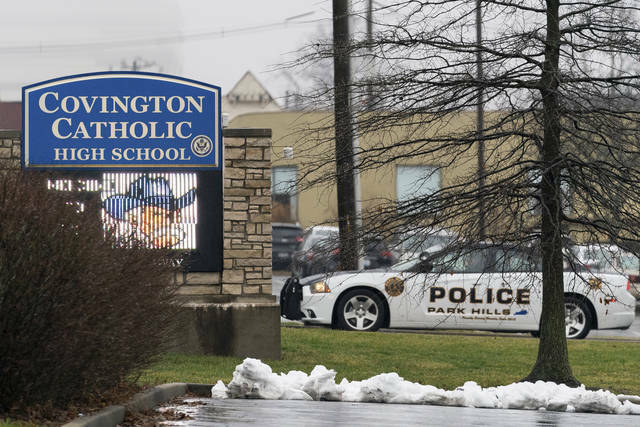 The videos of his experience show the Native American elder singing a healing song to defuse a conflict brewing between four young African Americans and a much larger group of white youth from Covington Catholic High School in Kentucky. 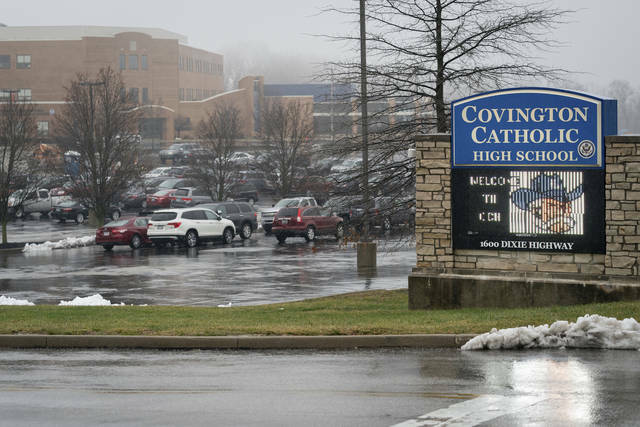 The Covington students then began taunting and ridiculing Phillips with “build the wall” chants. Grotesque behavior like this is a choice. One choice is to see the Make America Great Again hats, the defamation of decency, and make a decision to hate these haters. We see them everywhere—sometimes in large groups, sometimes just a few. These types called me a race traitor while I was in high school, they got angry when I didn’t participate in the racist jokes, it was just joking after all (or so they said). Under this social pressure, I did tell such jokes at times, shamefully. Watching this growing intolerance is a nauseating manifestation of Trump’s campaign of racism. They trample the boundaries of morality, and their chanting is proof that “the Wall” has always been a racist symbol. The other choice is to see the love. Nathan Phillips models that for us all. First, he must love himself and his cause. Curious people probably want to know more about how the American Indian Movement and being an Omaha has cultivated such peace and love in him, I know I do. Drawing on the divine has been a source for so many of my heroes, Martin Luther King Jr. to Mohandas Gandhi, who find something bigger—this is their source for principled nonviolence. Hate is a socialized and learned behavior. Shame and guilt are only likely to reinforce it. Love, on the other hand, creates an opening for change. Like another friend of mine, Tom Hastings, asked of current social movements in the Washington Post, “Why shut that sympathy gap?” Street brawls, violent responses, threats, or even blocking freeways have all demonstrated negative impacts on movements for positive social change. Haters are expected to hate, but hating back doesn’t work. I can testify to this personally and practically. In high school, I was in a bad place. My hometown taught me racism, sexism, and homophobia (to name a few), but I never meant to be a hater. I was educated through love—not shame—and I am still a work in progress. It wasn’t my wonderful parents; it was my desire to fit in to a toxic culture of mindless disrespect. 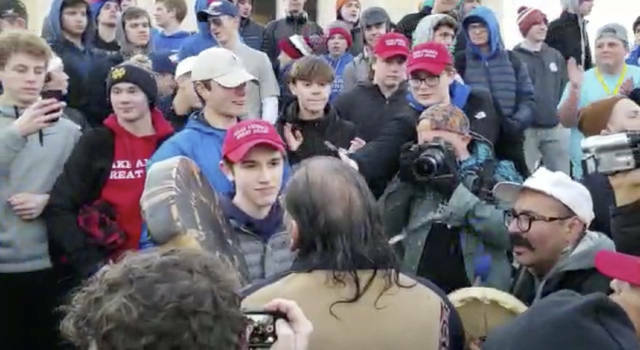 These Covington boys didn’t decide to hate on their own, they’ve been shown it over and over. Rage and hate can take white men to fantastic places in the U.S., it can help you to build tremendous fortunes, or, if you play your cards right, it might even get you into the Supreme Court or the Whitehouse. What are we showing our youth? Our leader is who they see to emulate. “Lock her up! Lock her up!” Mocking a man with a disability. Belittling a Gold Star family because their US Army Captain son, killed in combat in Iraq, was a Muslim. The list goes on of hate outrages initiated and fanned by Trump, who encouraged violence at his campaign rallies and seemed satisfied to have it devolve into street brawls ever since. These expressions all have developmental impact on these kids. Even in the best of times, young men misunderstand many things like consent and accountability. They are just falling on the side of the racist border wall this time, and they can’t argue it (nobody can, it is patently absurd), but they’re just doing the cool thing—sticking up for their racist leader—it’s what they know because it’s what Trump shows. It is the product of ignorance, and we shouldn’t blame the victims. Division has been fueled by the right, troll farms have even been employed to spread misinformation, and grown adults even debate or hope for another second civil war—this is the behavior that is expected! BOGOTA, Colombia (AP) — Thousands of Colombians dressed in white are flooding into the streets to repudiate terrorism after a car bombing at a Bogota police academy killed 21 people and left dozens more wounded. President Ivan Duque is leading the march in the capital that is expected to conclude in the emblematic Plaza Bolivar. The attack was the country’s deadliest in 15 years and recalled some of the bloodiest chapters in Colombia’s recent past. Authorities have attributed the bombing to the National Liberation Army — the last major guerrilla group following a 2016 peace deal with the Revolutionary Armed Forces of Colombia.